We found 2 episodes of Opposable Thumbs with the tag “tattoos”. Digital witchcraft practitioner Meghan Trainor is our guest this week! Seattle in tha house! We chat about our search engine doppelgängers, "Bertha" the sonically wondrous SR 99 Tunneling Machine, and electricity as a kinda-natural resource. We like funny people. One of us shares a tattoo with an angry, muscly singer. Can you guess who it is? Art... man... It gets co-opted by global hyper-capitalizm quickly. Meghan melds the knowing and unknowing of engineering and witchcraft. Do you even verte, bra? Taylor distills a pink ringing thing down to its most elegant and intriguing components. Rob gives you another reason to steal. 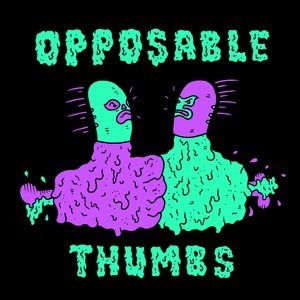 Check out what we made at http://projects.opposablepodcast.com. We have 49 links in show notes filled with interesting stuff. 49 links! That's bonkers. Listen to the episode, jump in on our next challenge and send us photos of what you made!